Please fill out a quote request form, we will return with a quote. Condo owner insurance helps. As a condominium owner, you own your unit but your condominium corporation or strata owns the building. Your condominium corporation or strata is responsible for insuring the building structure however, the building insurance does not cover your personal possessions in your home, or your liability to property damage or bodily injury arising from your negligence. You could protect your property against all risks with exclusions or specified perils – such as fire, theft, lightning, hail, falling objects, explosion, vehicle impact, riot and vandalism, and also legal financial obligation due to your liability, with condo owner insurance. Consider the replacement, repair and cleaning costs of your valuable possessions: designer clothes, shoes, furniture, audio entertainment centre, dishes, tools, computers, sports equipment and stamp collection. There is a risk of loss from a theft or structural fire, not just from burning, but imagine water damage to your books and computers caused by fire-fighting elsewhere in your building. To insure these items against loss, you need condo owner insurance. Please update your inventory of your personal possessions. It is hard to know how much would cost to replace or repair your personal possessions. Kindly use Home Inventory Form to calculate the values of your properties. You may realize that you have more than you think. The inventory would be helpful in case of fire or theft. When you lose the use of your own space, you suffer an additional loss, as you must pay for new premises. Repairs to your home could put you in a temporary accommodation for some time. Condominium-owner insurance could cover necessary living expenses. If you improve your own space, by updating the bathroom tiles – installing new carpeting – or switching to laminate floors, these improvements will not be covered under the building insurance. They would not be compensated for these in the event of loss. Condominium-owner insurance would provide coverage against loss of such improvements. 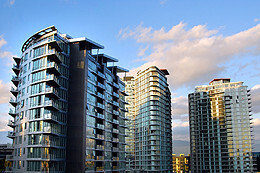 In order to reduce premium, some condo corporations or strata chose to increase deductible on their master building policy for property damage. If that damage is caused by you or your tenant, you would be responsible to pay the entire deductible of the condo corporation or strata insurance. The deductible goes from $5,000 to $50,000 or could be higher. You need to check with the management company or the strata council the amount of the deductible of the building insurance policy, the coverage of your condominium owner insurance may not be enough. In addition to loss of personal possessions, there is personal liability to consider. You may be legally liable to pay compensatory damage due to body injury or property damage arising from your personal actions. Such damage could result from thrown objects breaking the glass or water damage resulting from forgetting to turn off the kitchen faucet. If a guest slips and falls at your home, or has an arm broken by a falling bookcase, you could be liable for the damages and could be subject to a lawsuit. The personal liability coverage would be usually valid worldwide. You would be covered for your negligence even if you were in very litigious countries. Since you own the condominium as an asset, you could be sued for the asset. Condominium-owner insurance would provide coverage for situations such as these. Personal Liability coverage starts from $1,000,000 up to $5,000,000. You could include Earthquake, Home-based business and Watercraft coverage. -Have been insured with us for 5 or more years. *Subject to the provisions, conditions, definitions, limitations and exclusions as described in the policy wordings. As a member of the largest independent insurance broker group in British Columbia, we have contracts with major respective insurance companies.